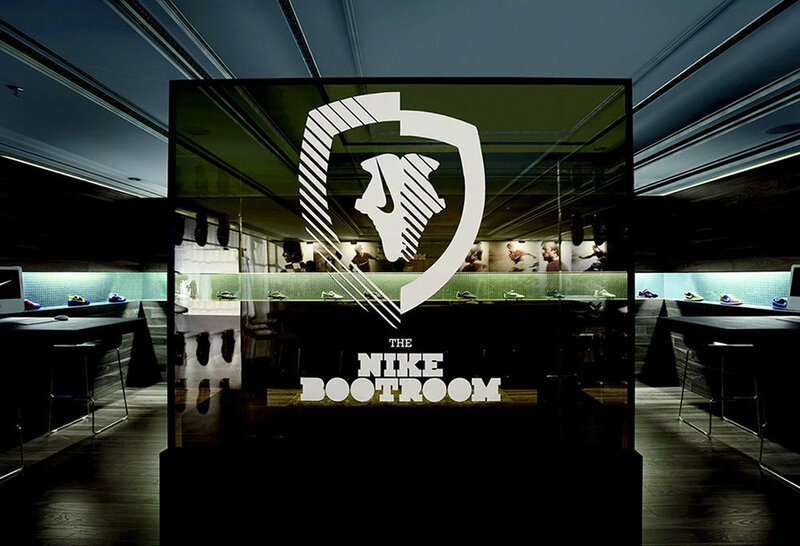 Designed as a VIP hospitality and event space for Nike during the European Cup in Vienna, we developed the concept for Nike’s VIP hospitality space, in which events were held for select retailers, press and officials at the European Cup in 2008. We converted a double ballroom in the centre of Vienna to house a lounge and an event space for performance and video presentations. Inspired by five-a-side football, the event space was created by overlapping football pitches, with the painted lines extruded to form a weaving three dimensional installation. The lines provided space for seating, spatial delineation and lighting, providing unusual surfaces for an actual game of five aside football to occur around the spectators. 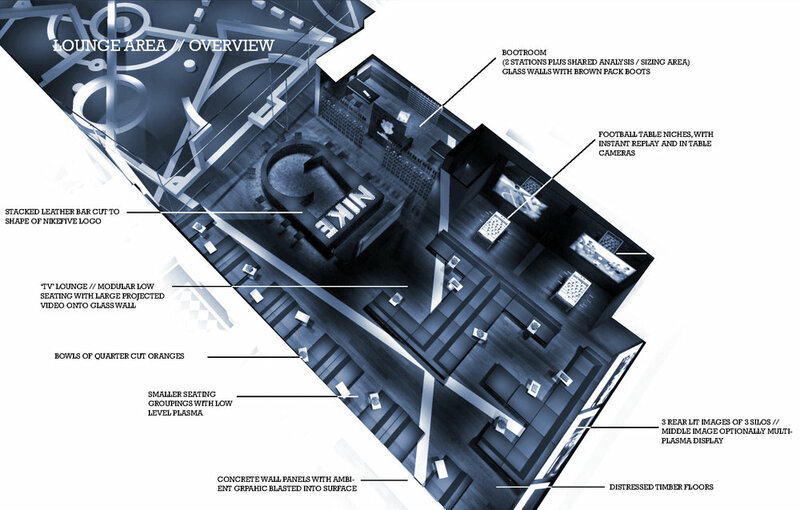 The project was constructed for the duration of the tournament, however no photographs of the built project are available for release.